If you're looking for an engagement ring that has both edge and that coveted vintage flair, then a marquise is the right pick for you, dear brides-to-be. Not familiar with this particular style ring? A marquise-cut diamond is often referred to as the "eye-shaped" cut or the "boat-shaped cut" because of its elongated form and pointed ends. And it has a rich history that, according to Brillance, dates back to the 18th century when "King Louis XV of France commissioned a jeweler to design a cut shape that resembled the lips of his mistress." Pretty interesting, no? It's no surprise that the ring is still so widely beloved today. It's elegant, has an edge, and, as mentioned before, gives off that vintage flair that so many of us covet. But another thing worth mentioning about this particular style? 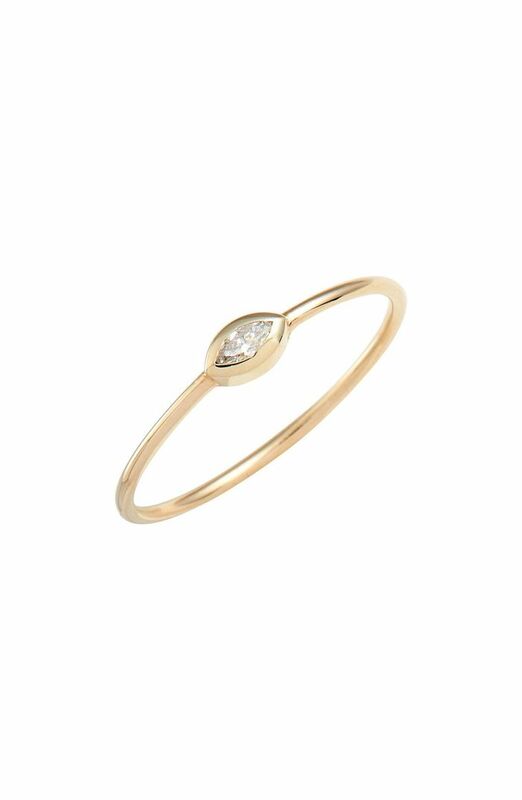 A marquise-cut engagement ring elongates and slenderizes the wearer's finger because of its long, narrow shape—and frankly, who doesn't want that? Inspired by its elegance and history, we went on a mission to find what marquise-cut diamond rings are currently available for purchase today. And boy, did we find a lot, from one with a more minimalist design to a super eye-catching pick that's sure to be the center of every conversation. Ready to see what we found? Then read on for 26 stunning marquise engagement rings to buy now. 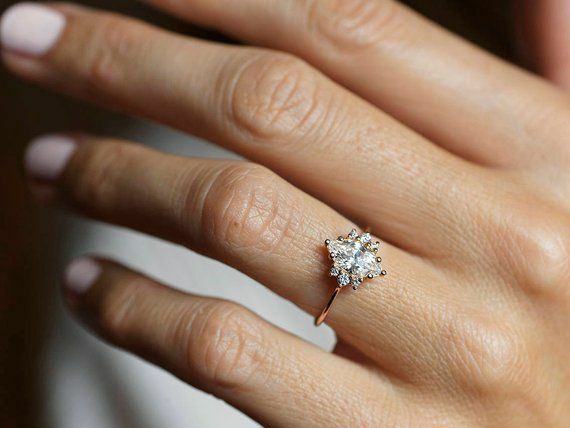 Next up, check out more classic engagement ring shapes you need to know about.